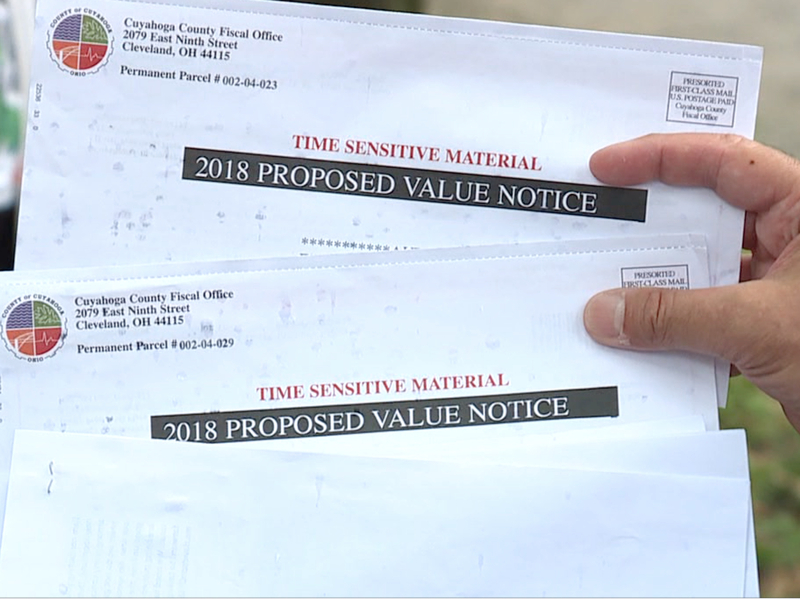 Some Cuyahoga County residents are now in the midst of a door-to-door petition drive, demanding the county give them more time to challenge recent property reappraisals that they believe are simply too high and unfair. Residents living in Cleveland's Tremont neighborhood are collecting signatures. They will submit to the county, asking that deadline for filing an informal appeal be extended 30 days, from the end of August to the end of September. The petition is also asking that homeowners who can prove a financial hardship be exempt from the appeal process. Melody Perry, who's owned a home in Tremont for 28 years, and is facing a 75% increase in home value, is concerned the new appraisals will force too many long-time residents out of their homes. "Everybody is willing to sign the petition, I haven't had anybody slam the door in my face," Perry said. "I've been to some of the homes, just walking door-to-door, and there is no way that these homes should be taxed at the rate that they're taxing them at." "They are going to be losing their homes, there are so many people here that simply can't afford to pay the taxes on them." The Tremont West Development Corporation is also responding, with a board resolution that allows the agency to help residents with resources to assist them through the appeal process. Tremont West Executive Director, Cory Riordan, told News 5, he hopes the county will be more active in providing homeowners with the information they need. "I think that the county should be proactive in this situation," Riordan said. "The county should host a meeting in the Tremont community, hear what the concerns are, and explain the rational. How do you go from a property being $50,000 to $180,000?" Cuyahoga County has posted materials on how to challenge the reappraisals and is hosting a series of meetings, where homeowners can file informal appeals, at Tri-C campus locations through August 22nd. The next meeting to be held at Cuyahoga Community College West, 11000 Pleasant Valley Road in Parma, from 10 a.m. to 7:30 p.m. on August 16. Still, Lincoln Heights Block Club leader Henry Senyak believes the county has an obligation to specifically explain how it arrived at such high property values. "That's why I refer to it as a systemic gentrification," said Senyak. "We support all the new development, but at what cost? Is it going to force all the people who have lived in this neighborhood all their lives to have to be moving?" Formal appeals on the reappraisals to the board of review won't start until the end of the year.